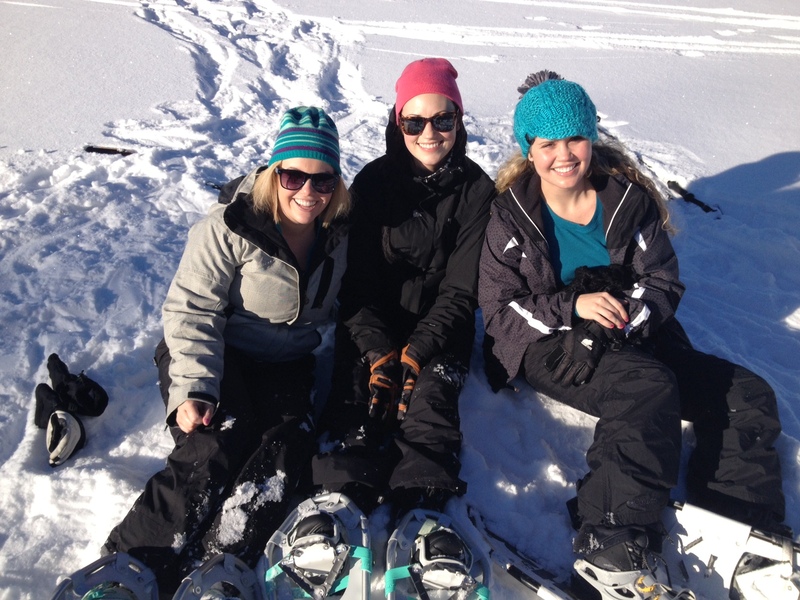 Over the past few years it has become somewhat of a tradition to go skiing for my birthday. We spent the first year at Mount Hood, the second year at Grand Targhee and last year back at Mount Hood. Our first year at Mount Hood we went night skiing. Conditions were a little icy but it was fun skiing under the lights. The second time we went to Mount Hood, we caught word that the mountain was in rough shape. We decided to skip skiing and try cosmic tubing that night but we needed to find something to do during the day instead of drowning our sorrows at the bar. 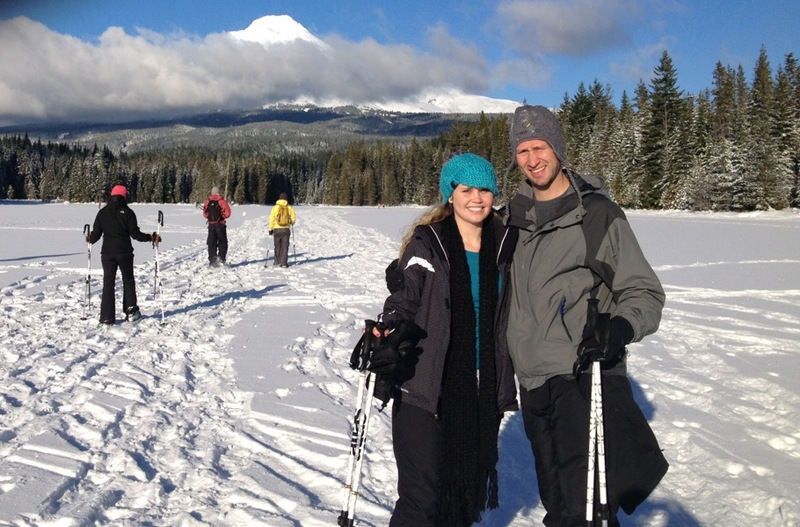 We heard about a three-mile snowshoe loop to Trillium Lake and decided to give it a shot. 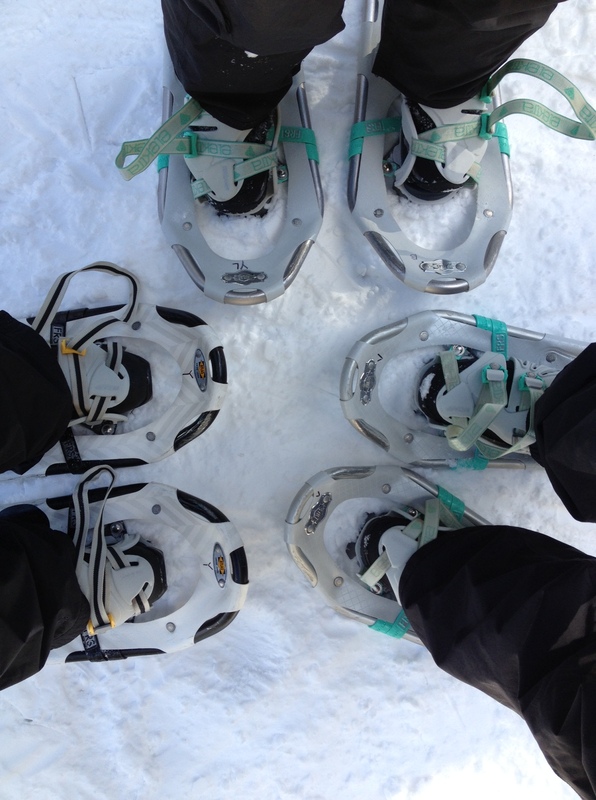 Not many of us had snowshoed before but the learning curve seemed pretty low and rentals were only $15. We got our gear from a local shop called Mountain Tracks before we headed up to the trailhead. 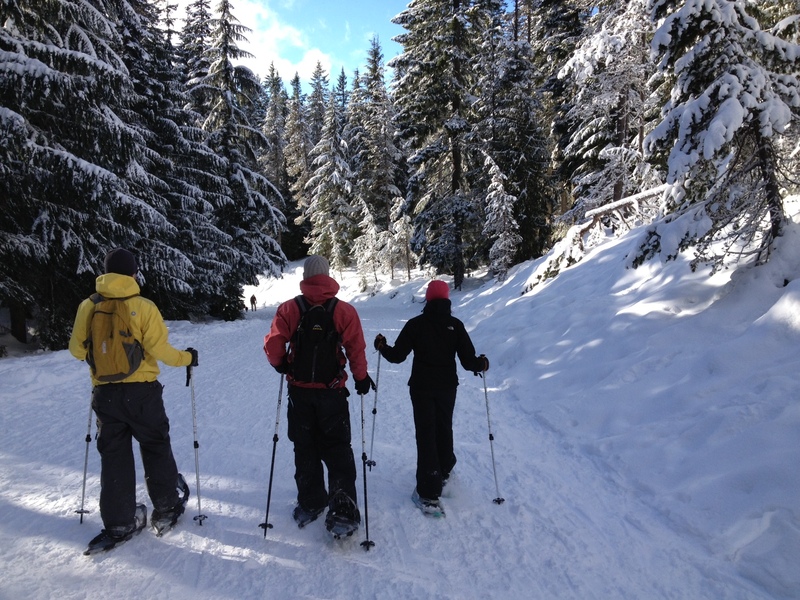 The snowshoes fit over standard snow boots so we got strapped in and made our way up to Trillium Lake. The trail was nicely groomed with one side designated for snowshoers and the other for cross-country skiers. It was a little tricky getting used to your feet growing three sizes but it didn’t take long to get the hang of it. When we got to the lake we took a little break and shared a Sweet Heat from Burnside Brewery before we made our way back down. We ventured off the trail a bit on the way back and caught some great scenery. I have to admit that I was initially disappointed we weren’t able to continue our skiing tradition but showshoeing was a great alternative. I would definitely consider if you find the mountain in poor conditions or just want to try something different!